Displays unattended installation command prompt help. 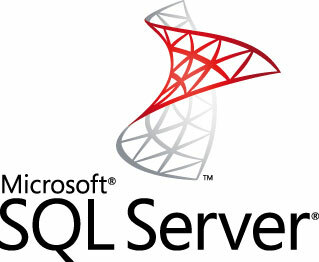 Applies SQL Server 2005 SP3 to all instances of SQL Server 2005 and to all SQL Server 2005 shared, instance-unaware components. Applies SQL Server 2005 SP3 to an instance of SQL Server 2005 named InstanceName, and to all SQL Server 2005 shared, instance-unaware components. User account password for connecting to a remote failover cluster node. Runs SQL Server 2005 SP3 Setup in unattended mode. Only the discovery and enumeration section of Setup is run, and a report enumerating the local instances and components of SQL Server 2005 is displayed. When using this switch, SQL Server 2005 SP3 is not applied. Specifies an account that has permissions to modify the schema on a report server database when you use SQL Server Authentication. This parameter is used when you upgrade an instance of Reporting Services that includes a report server database that requires a SQL Server login. Specifies the password for an account that has permissions to modify the schema on a remote report server database. This parameter is used when you upgrade an instance of Reporting Services that includes a remote report server database. Passes the SQL Server Authentication password for the sa login to run scripts. Do not escape characters for /sapwd. Escaping characters will cause Setup to fail. User account for connecting to a remote failover cluster node. Hey, I know this is an old post but I need to get SP3 applied to SQL 2005 via a bat file. So you web page (http://www.davidtan.org/installing-sql-server-2005-service-pack-silently/) is great. It has all the switches but does not show the command ( unless I missed it) Can you provide and example?